Yay! I somehow always lose track of my food storage containers. Some are left at work, at school, given to a guest with leftovers, etc. Whatever the reason I somehow always feel in need of more food storage containers so I love this deal! 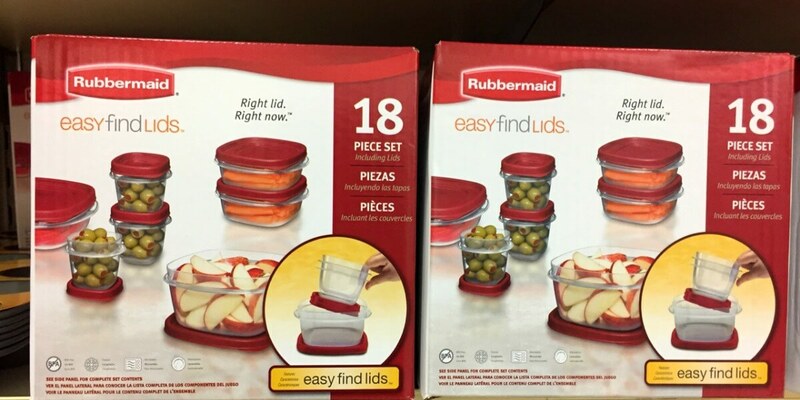 Now through 5/20, ShopRite has 18-piece Rubbermaid Easy Find Lids Storage Set is on sale for $4.99, down from $9.99! If you were one of the lucky ones who got this ecoupon you can score this for just $0.99! Target Shoppers – FREE True Lemon Drink Mix!